Based north of Los Angeles at the Port of Hueneme, Stellar Biotechnologies began in 1999 when a paradigm shift in drug research - toward treatment strategies that focus the body's immune system to target disease - pointed to rising demand for KLH protein. This brought attention to an unsustainable situation: fishery and manufacturing practices threatened to deplete the scarce marine source of KLH (the Giant Keyhole Limpet) and constrain future supply of this important pharmaceutical ingredient. We revolutionized KLH manufacturing with ground-breaking aquaculture science and environmentally sound methods that transformed a threatened ocean resource into a viable commercial platform. We leveraged this expertise into a portfolio of Stellar KLH™ products for use in immunotherapy development. 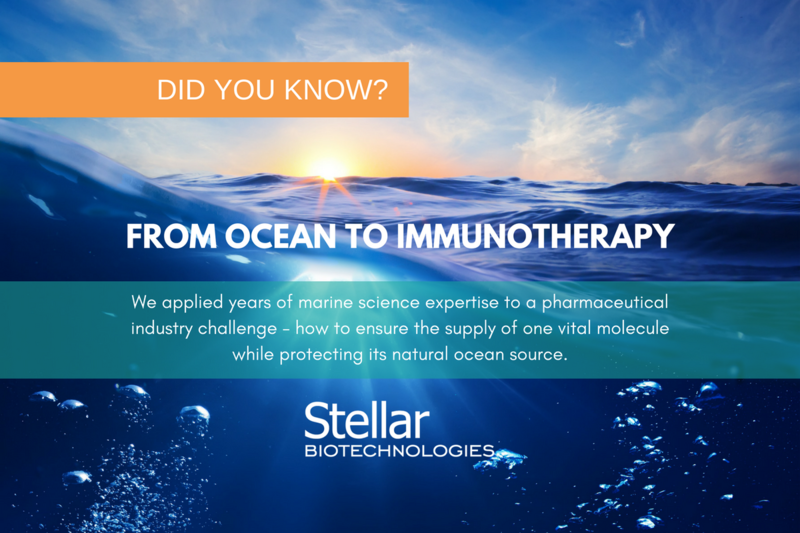 Today, Stellar Biotechnologies, Inc. (NASDAQ: SBOT) is a publicly-held corporation specializing in meeting the demand for commercial-scale supplies of GMP grade KLH and developing KLH-based active immunotherapies.